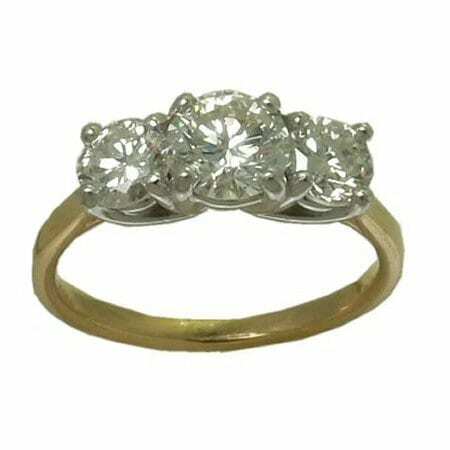 Gorgeous 14 karat yellow and white gold 1.72cttw three stone diamond ring. 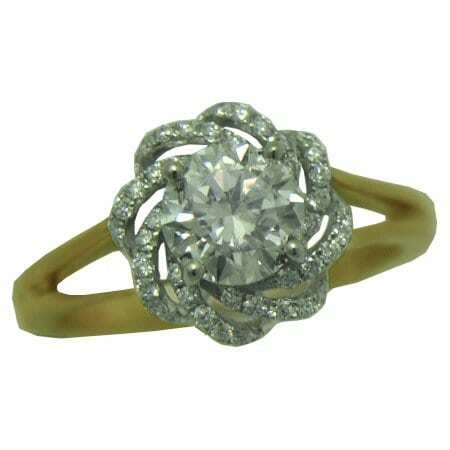 All of the diamonds are set in white gold. 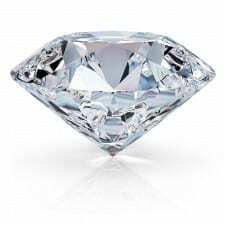 The center stone is a .82 carat round brilliant cut diamond of SI1 clarity and I color and is certified as such by Gemological Institute of America #11454181 . 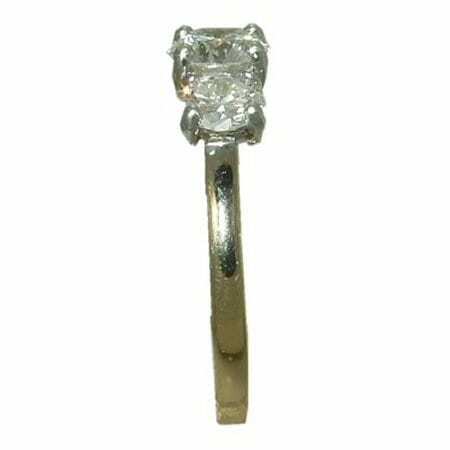 On each side of the center stone is one .44 carat and one .46 carat round brilliant cut diamond. They are both SI clarity, H and I color. 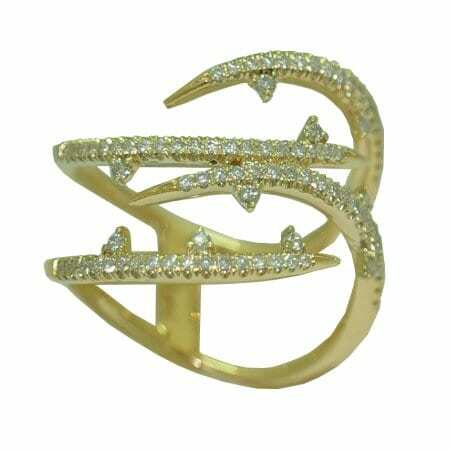 Gorgeous 14 karat yellow and white gold 1.72cttw three stone diamond ring. 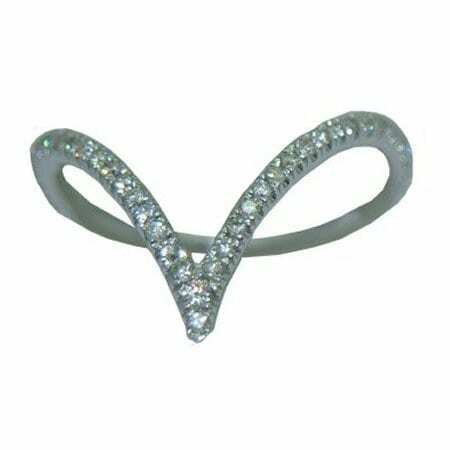 All of the diamonds are set in white gold. The center stone is a .82 carat round brilliant cut diamond of SI1 clarity and I color and is certified as such by Gemological Institute of America #11454181. 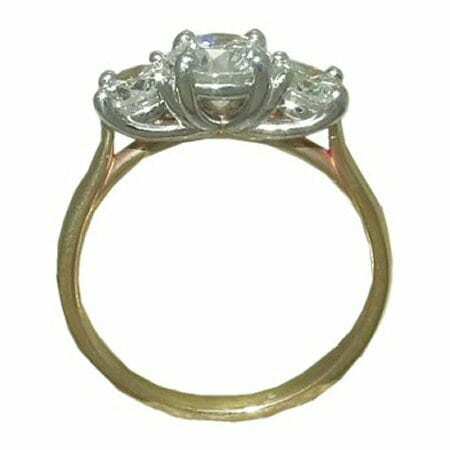 On each side of the center stone is one .44 carat and one .46 carat round brilliant cut diamond. They are both SI clarity, H and I color. 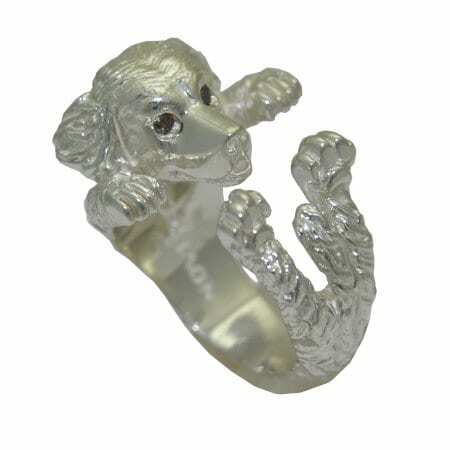 Dog Hug Ring – Golden Retriever with 0.07 Cttw.